The game of Blackjack is thought to have originated in France and was called “vingt-et-un,” which means 20 and 1. The name comes from the fact that if the player got both a Jack and an Ace of spades, spades being black, the odds paid were enhanced. Common odds at the time were 10 to 1. These odds have long since disappeared but are still in the realms of blackjack history. At first, the game wasn’t all that popular and took a while to gain popularity. The game got its name due to the fact that a player would receive a bonus payout if they got an Ace and Jack of spades as their first two cards. The original version of Blackjack had a payout of 10 to 1. There were some card houses which recognized the Jack of spades and the Jack of clubs for this payout. The game of Blackjack has changed a bit as time has gone on. One of these changes which have taken place has led the Jack no longer being the card necessary. Now, any card which holds a value of ten accompanied by an Ace card will make a winning hand for the player. However, the name has still remained the same, but the payouts have also seen some changes over time. Since it first appeared, the game has slowly become more popular and now it is one of the favorite card games in the casinos. In the UK, Pontoon is the well known version of Blackjack often learned when growing up. 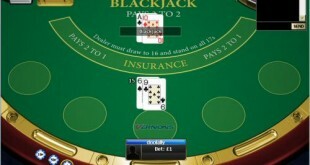 This popularity of the game brought blackjack history into the online casinos. Now, the casinos generally offer players a payout of 3 to 2 on a Blackjack, without it mattering the color or suit of the cards. The Pontoon version can be played online too. There are other card games which are similar to Blackjack in many ways, but have some differences to them as well. Blackjack has however remained the popular one of choice since it caught on. There are many resources out there which promise to help players with regards to doing better at the game and seeing better results. Many players make a habit out of trying to beat the game and some players do end up seeing great results. In the early 1960’s, mathematicians studying blackjack studied the odds and worked out the most effective way for players to play. These masters of the game published various blackjack strategies in papers and books that showed how to level or even beat the odds. Some of these blackjack strategy books were immensely popular and forced the casinos to introduce strategy beating measures including, multiple decks, shuffling machines, and early shuffling to counteract the card counters advantage. However, playing Blackjack still comes with the usual house edge risks and anyone who plays it will want to be sure they follow a good money management system and be sure they are disciplined. 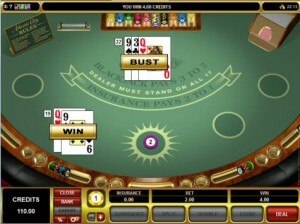 Blackjack offers a lot of excitement and many players look forward to enjoying it on a regular basis. The good news for these players is the game has now become so popular it can be found in just about all of the casinos and this includes the online casinos as well. Although Blackjack history is sometimes argued, there can be no doubt that it’s changed into one of the most, if no the most, popular of all the casino games with a wide range of variants available to play as you’ll see from our Blackjack pages. Blackjack has a long history dating back for more than 300 years and looks to be popular for another 300 at least.